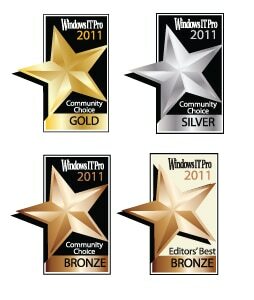 We are proud to announce that for the 3rd straight year, NetWrix solutions have been recognized by the 2011 Windows IT Pro Community Choice Awards proving NetWrix is #1 for change auditing. Overall, NetWrix was awarded 9 different times including two Editors’ Best awards. The NetWrix Change Reporter Suite was recognized in three separate categories. It received a Bronze community choice award in the Active Directory and Group Policy product category, a Silver award in the Auditing and Compliance category as well as overall Editors’ Best award for Auditing and Compliance. 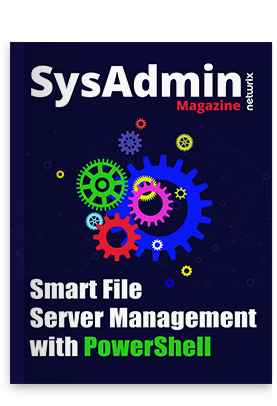 Also, the cost-effective NetWrix Enterprise Management Suite, which includes nearly all of our simple and lightweight tools, was selected for and Editors’ Best award among all Management Suites. In addition to these outstanding awards for Change Reporter and Enterprise Management Suites, the NetWrix Exchange Change Reporter received a Silver award for best messaging tool. The NetWrix SharePoint Change Reporter was recognized with a Gold award for best SharePoint tool by the community. A Bronze award recognized the NetWrix VMware Change Reporter as best virtualization management tool. In addition to these awards for our change reporting solutions, the NetWrix Disk Space Monitor received a Silver award for best system utility. And last but not least, a Silver award was also given to the NetWrix Service Monitor as best system monitor tool. These awards from the Windows IT Pro community prove that NetWrix is a true #1 leader in our core competency of change auditing. Without the tireless efforts of the entire NetWrix team and feedback from our value customers, these achievements would not be possible. We look forward to more recognition like this as well as continued success and leadership in delivering change auditing solutions for organizations of all sizes to sustain compliance, improve security and promote enterprise-wide IT infrastructure visibility. What makes these awards even more exciting is added recognition in the form of 6 additional readers choice awards from Redmond Magazine. This brings the current NetWrix 2011 total awards to an outstanding 15, and counting. See my post on these Redmond awards to learn more. Why Do You Need Good AD Account Lockout Tools?